One of my favorite quotes is, “Those who fail to learn from history are doomed to repeat it” by Winston Churchill. There are variations of this quote that have been attributed to many other people through the years, but they all share the common thread that we are to remember and learn from the past. To this end we set up memorials as a tool to help us remember, lest we forget and be doomed to make the same mistakes again and again. 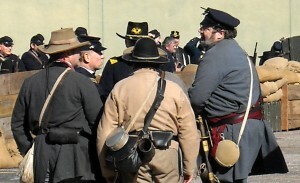 The Battle of Galveston is reenacted yearly. The Civil War led to what would become Memorial Day. In Washington D.C. for example there are over 130 memorials honoring everything from the founding fathers, to fallen soldiers to help ensure that the sacrifices of those who have come before us are always remembered. While the concentration of memorials in D.C. works out to roughly one memorial every two miles, there are memorials spread throughout the world honoring sacrifice of all shapes and sizes. In fact, today is Memorial Day which is a Federal Holiday that we set aside for memorials and remembrance each year on the final Monday of May. It is a day of remembrance and a time to honor the men and women who died while serving in the United States Armed Forces. Formerly known as Decoration Day, it originated after the United States Civil War to honor soldiers on both sides of the Mason-Dixon Line who lost their lives in battle. Memorial Day is a time to honor those who fought and died for our freedom. Memorial Day was expanded in the last century to honor all Americans who have died while in the military service. 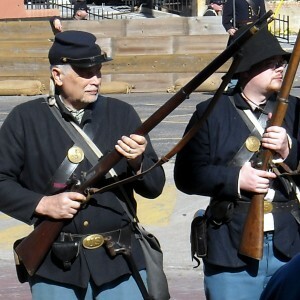 While dating back to the war between the states, in recent years Memorial Day has also marked the start of the summer vacation season with Labor Day acting as the second bookend in September to signal the end of the summer season. Over the course of the past weekend families traveled all over to enjoy time in the sun and surf as they officially left winter behind and embraced the feeling of summer. As part of the holiday weekend, numerous television networks used the time to air marathons of their most popular shows to capture the attention of those viewers who were not out in the sun catching waves or barbecuing as their way of celebrating the weekend. Major League Baseball honored those who paid the ultimate sacrifice by wearing camouflage on their hats and uniforms during their games today. 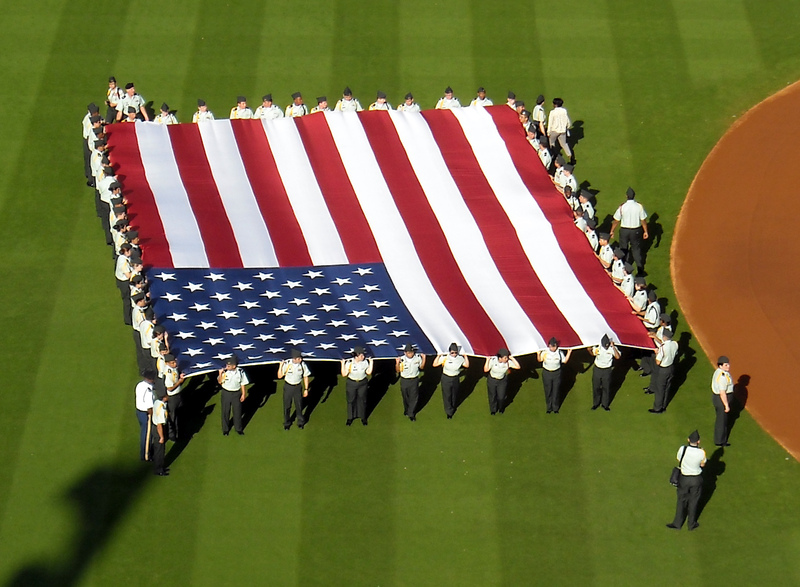 Large flags and camouflage hats mark Memorial Day across Major League Baseball each year. For those people who do not want to celebrate the weekend at the beach or Ballpark, Memorial Day weekend also features three of the biggest auto races on the yearly calendar in the forms of the Grand Prix of Monaco, Indianapolis 500, and the soda company sponsored 600 mile NASCAR race in Charlotte. Of course, not every Memorial Day tribute includes direct commercial time-ins. 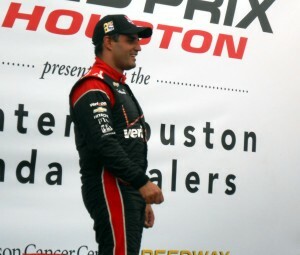 Juan Pablo Montoya kicked off Memorial Day eve with a win in the 99th running of the Indianapolis 500. There is one Memorial Day tradition that still tends to get me choked up and seems to honor the fallen in the way the holiday was intended if not with a bit of a 21st Century feel. I am referring to the Memorial Day Weekend NASCAR race. Each year the pre-race show includes a strong military presence, bagpipers, and Taps being played. 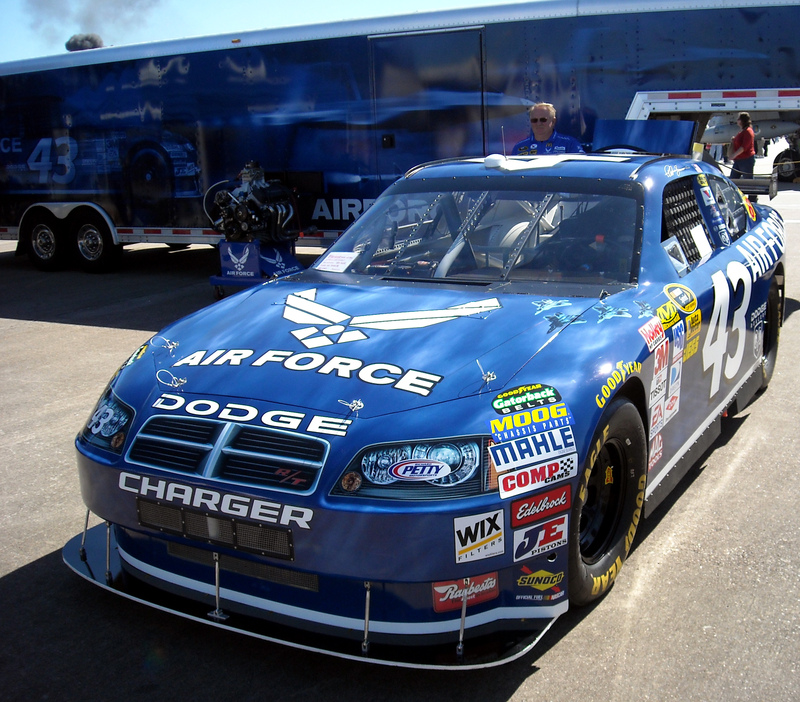 NASCAR is arguably the most commercialized of the major American sports with advertisements seeming to cover every spare square inch of both driver and car. 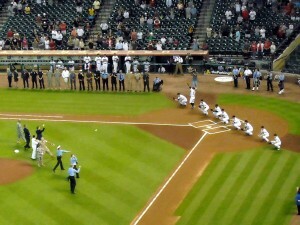 But, when it comes to pausing to honor the troops they tend to get it right year after year. 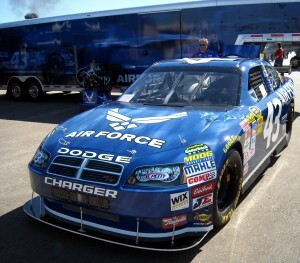 NASCAR has a long history of supporting the troops and offers a stirring tribute before its annual Memorial Day Race. 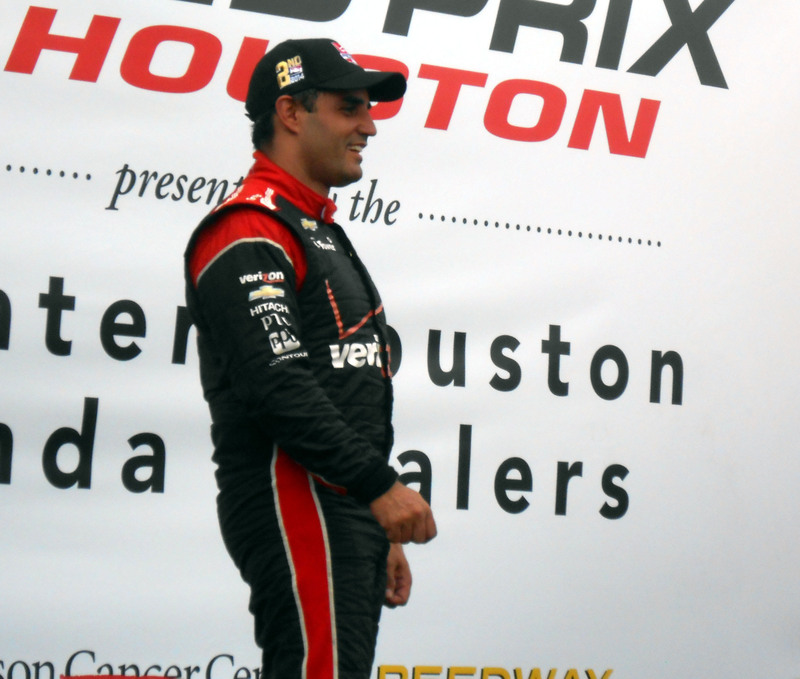 It is hard not to feel the sacrifice that was being made when watching the pre-race ceremony and hearing those bag pipes and lone bugle mournfully wail. Of course the part where they roll out the extremely large American flag, a staple of most sporting events these days, is another nice touch. Americans owe their freedom to the sacrifice made by countless soldiers and I am glad that we have holidays, and pre-race ceremonies where we can be reminded of that. Unfortunately, I fear that in the coming years the commercial aspects of holidays like Memorial Day will overtake the true meanings behind them. Instead of being a time where Americans all pause to remember the sacrifices made by those that came before them, I fear that the holiday will complete its transformation into a holiday where travelers merely focus on the cars before them as they rush to their weekend getaways, or catch up on those projects that the extra day off from work allows them to finally tackle. So while you are enjoying that extra day off of work, or grilling some meat on the grill, or even grilling your flesh on the sand today, take some time to think of the sacrifice of the fallen soldiers. It is often said that freedom isn’t free and that it comes at a great cost. Days like Memorial Day allow us to remember that cost and appreciate the freedom a little more. If you happen to come across a member of the Armed Forces today in your travels to and from the beach or that store with the huge sale on mattresses take a moment to tell them thanks for doing their part to keep us free to enjoy those sandy shores and have the means to purchase that mattress with 90 days same as cash financing. Now if you’ll excuse me, I have the urge to cook something on an open flame and see if I can find a solider to thank for my right to make that burger extra crispy. Today is Memorial Day which is a United States Federal Holiday that occurs each year on the final Monday of May. This year around the shores of Galveston County the outdoor celebrations of Memorial Day weekend included the added sights and smells of shores lined with seaweed and dead fish. As with most other holiday weekends, Memorial Day also becomes a time when advertisers discount everything from dishwashers to pickup trucks in an attempt to rake in the dollars and lure shoppers into their establishments. Large flags and camouflage hats will mark Memorial Day across Major League Baseball today. Major League Baseball will honor those who paid the ultimate sacrifice by wearing camouflage on their hats and uniforms during their games today. And of course in keeping with true American capitalist values that tend to come to light during holiday weekends, versions of those hats and jerseys are available for purchase by the general public. 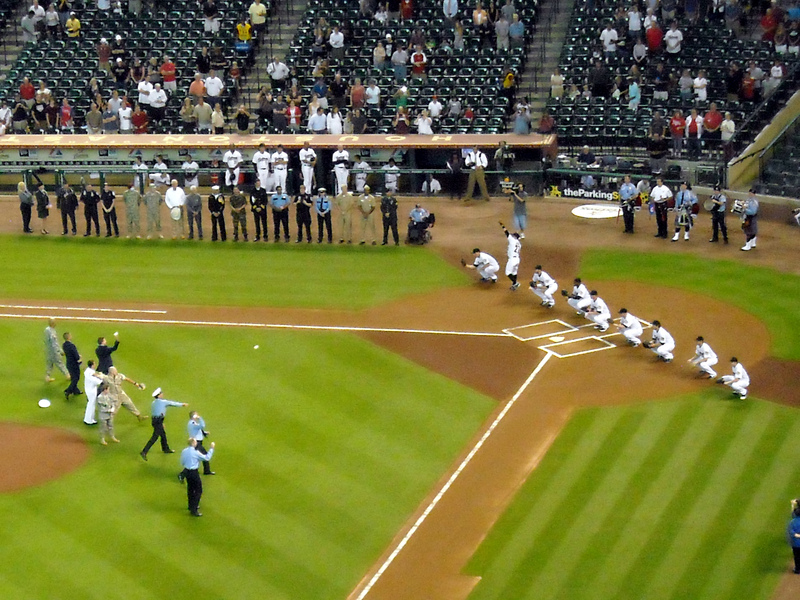 Ceremonial pitches honoring the troops and first responders. Today is Memorial Day which is a United States Federal Holiday that occurs every year on the final Monday of May. Of course, not every tribute includes direct commercial time-ins. There is one Memorial Day tradition that still tends to get me choked up and seems to honor the fallen in the way the holiday was intended if not with a bit of a 21st Century feel. Unfortunately, I fear that in the coming years the commercial aspects of holidays like Memorial Day will overtake the true meanings behind them. Instead of being a time where Americans all pause to remember the sacrifices made by those that came before them, I fear that the holiday will complete its transformation into a holiday where travelers merely focus on the cars before them as they rush to their weekend getaways, or catch up on those projects that the extra day off from work allows them to finally tackle.